1-R apt. with TV, stove, refrigerator, dishwasher, for 2 pers. 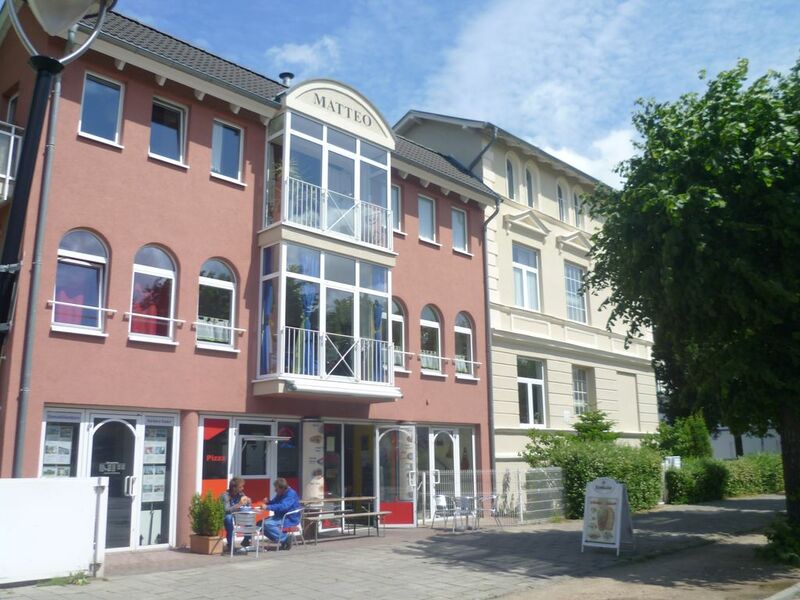 Our exclusive and modern furnished apartment is located in the heart of Warnemünde. The apartment has a TV, a comfortable sleeping possibility (incl. Bed linen) for 2 persons (on request cot can be provided for an additional charge of 10,00 EUR / night), kitchen incl. Dishwasher, stove and microwave, shower room (towels included) and a very cozy and modern living area. Restaurants, cafes, bars, casino, 3D cinema, doctors, pharmacies and hairdressers are in the immediate vicinity. It is the most beautiful seaside resort with special traditions dating back to the 12th century. Century rich. For our holiday guests parking is available! Even in the autumn and winter months are extensive beach walks and mole visits in stormy sea just great! Sauna and swimming pool can be found in the immediate vicinity. But also a casino or a disco visit are possible in Warnemünde. Good opportunities to make your free time rustic, sociable or comfortable, there is here. Further tips on request. Next to the sea, with a fine sandy beach, the fishing port, the ferries, a spacious marina and plenty of culture Warnemünde is the most beautiful seaside resort on the Baltic Sea. The city center with many restaurants, cafes and bars can be reached in 5 minutes and the dream beach in 3 minutes.